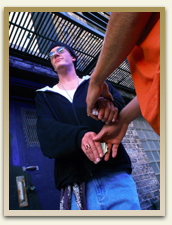 Clients call us every week after being arrested for possession of controlled substances (illegal drugs). There are two different jurisdictions that people can be charged with drugs. The first is within Mississippi state courts. The second place a person could be charged is Federal District Court. The penalties for both are severe and representation is a must in both cases. Mississippi State Courts are often very tough on citizens charged with drugs, even when it is only a small amount. Within state courts there are two avenues that prosecutors approach drug cases. The first determination that they make is to decide how much of the substance exists. Marijuana: In an amount that is 30 grams or less. Cocaine: In an amount less than 0.1 grams or one dosage unit can be charged as a felony or misdemeanor. Crystal Meth: In an amount less than 0.1 grams or one dosage unit can be charged as a felony or misdemeanor. Ecstasy: In an amount less than 0.1 grams or one dosage unit can be charged as a felony or misdemeanor. It does not take much of these drugs to elevate the prosecution’s case from a misdemeanor to a serious felony. Paraphernalia: The things that a person uses to consume drugs like rolling papers, pipes or a syringe are called paraphernalia. This crime is always a misdemeanor. The penalties for misdemeanor amounts of controlled substances range from no jail time up to six (6) months in jail, and a fine up to one thousand ($1,000.00) dollars. A felony conviction can result in many years in the state penitentiary and millions of dollars in fines. Our office has handled hundreds of cases that involve drug related charges. The one thing that we want to make clear to those who seek our assistance is that we are not here to judge you or tell you what you should have done. Our job is to represent you and do everything in our legal and ethical power to get these charges against you dismissed. The Federal Criminal Justice system has very harsh penalties for drug offenses. The most severe penalties are given in crack cocaine and crystal meth cases. Certain drug cases carry mandatory minimum sentences. That means if you are convicted of these Federal drug crimes, you must receive a certain period of time in jail. Some of the mandatory minimum periods are ten (10) years in jail. If a person uses a gun during the commission of a drug crime, that charge carries an additional five (5) years that must be served after the original sentence is completed. Federal criminal defense is considered by many lawyers to be more difficult than criminal defense in State courts. The rules of procedure are different in each court. Our criminal lawyers are skilled at handling Federal defenses. In the past, one of the attorneys at Coxwell & Associates, PLLC obtained two (2) not guilty verdicts back to back in complex Federal drug conspiracy charges. This criminal office is dedicated to representing the liberty rights of individuals above all else. Having an criminal lawyer to represent you through these stressful times is essential and we guarantee that we will do everything within the law to represent you to the best of our ability, with the ultimate goal of getting your charges dismissed. Get in touch with our criminal lawyers today to help you with your drug charges case.